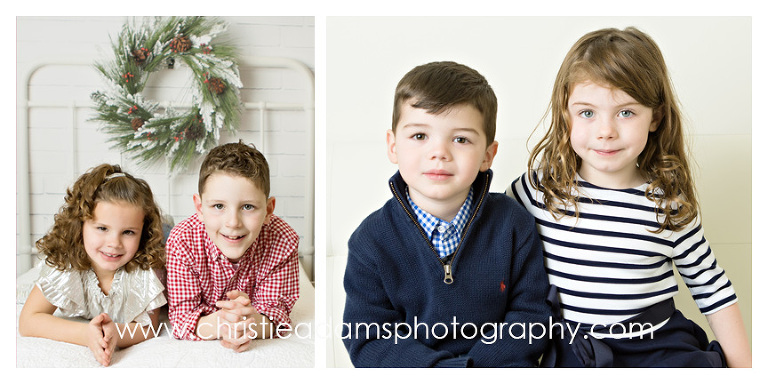 It has been a busy holiday season here in Glen Rock at Christie Adams Photography! I’m so beyond on sharing all of the sessions that I’ve had at my studio so today I am sharing two adorable sibling duo’s. One I met for the first time last month and the other I have been photographing every year since 2013. It is so much fun photographing lots of families and children and seeing familiar faces as well as meeting new people. Christie Adams Photography is a Bergen County NJ children’s photographer based in Glen Rock. In business since 2007, Christie has photographed over 1000 families from all over Northern NJ and specializes in timeless and classic portraits.